Top security companies once again came together at the RSA Conference in San Francisco, USA. MSys Technologies was in attendance at the event. ATLANTA - April 25, 2018 - PRLog -- Top security companies once again came together at the RSA Conference 2018 in San Francisco, USA. The much-awaited infosec event that ran from 16th April to 20th April at the Moscone Center has finally come to a wrap. But the learnings have been immense. Lots of information exchange, great sessions and one-on-one networking, the RSA Conference every year does not fail to pack quite a punch. MSys Technologies was in attendance at the event. 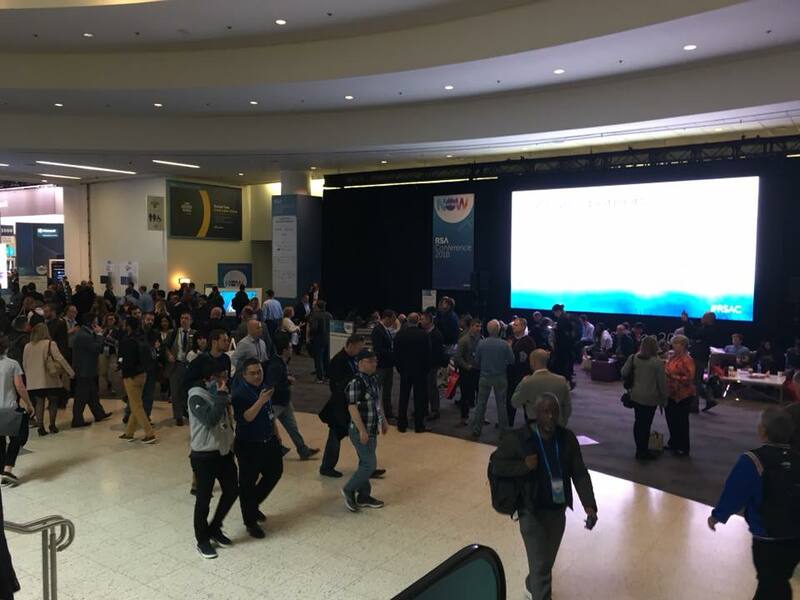 From analytics to clouds, from DevOps to Machine Learning, from IOT to Cryptography, the RSA Conference showcased the advancing technology trends in the field of security. The list of speakers flew in from all part of the globe to give out their keynote addresses, laying the stage for the big event to follow. These year's keynote sessions brought a diverse and impressive array of speakers onstage. That apart, some special sessions in the lineup highlight as well as appreciative those with the innovative streak. The RSAC Innovation Sandbox Contest is one such edition. The RSAC Innovation Sandbox Contest brings out cybersecurity's boldest new innovators who have made it their mission to minimize infosec risk. Each year, 10 finalists grab the spotlight for a three-minute pitch while demonstrating groundbreaking security technologies to the broader RSA Conference community. This year, the 2018 RSAC Innovation Sandbox Contest named BigID "Most Innovative Startup". With more than 500 exhibitors, the expo running parallel to the event gives a chance to the industry experts to interact with masses and network with their peers. Conference goers can exchange their ideas and learn what's new and trending in the field of security. This opens doors to explore the business potential as well. Arindam Sarkar, Director-Sales from MSys Technologies who attended the RSA Conference shares his experience and insights from the mega event. "The RSA conference is one of the biggest security conferences that happen every year. Industry stalwarts are here talking about what's trending on the cybersecurity front. There was so much exchange of information and priority discussions on security in today's times right from Analytics, Intelligence & Response, Cloud Security & Virtualization, Cryptography, DevOps, Governance, Risk & Compliance to Mobile & IOT Security and so on. For us, it was a great opportunity to network with companies and explore the business potential that lies within the great array of security solutions that were showcased at the event. We were able to meet stakeholders of various companies and understand how we can work together. All in all, a great show!" Cybersecurity is gaining a lot of significance as we go more and more digital with our technology. No wonder it has spiked the interest of companies who are innovating tremendously to ensure safety is not compromised. Twenty new hot security products were announced at RSA Conference. Apart from a lot of knowledge sharing, the event also ensured the attendees had a good time with some after-hours activities. The Expo Pub Crawl and the RSAC Bash, as well as the Women's Leadership Reception, were curated to put together a show of talent and celebration. The RSA Conference surely was an unforgettable cybersecurity fest this year. As the event concludes, we hope to put our learnings into practice and ensure a cybersafe world of technology. Virsec Trusted Execution protects applications against microcode attacks such as Spectre and Meltdown without requiring changes to the application code, operating system patches or microcode updates. Trend Micro Writing Style DNA will sound the alarm when emails are suspected of impersonating an executive or other high-profile user as part of a Business Email Compromise (BEC) attack. Forcepoint Dynamic Data Protection continuously assesses risk and automatically provides proportional enforcement that can be dialed up or down. This capability is enabled through human-centric behavior analytics that understand interactions with data across users, machines and accounts. The new version of Unisys Stealth includes upgrades to extend protection to purpose-built Internet of Things devices and other connected equipment such as medical monitoring machines, baggage scanners and surveillance cameras. The Tripwire Container Analyzer Service embeds security at the beginning of the DevOps process. As a result, the service can be used to perform complete vulnerability analysis of Docker images, systematically approving images or preventing further use of them. MSys Technologies delivers solutions in Datacenter domains such as Storage, Virtualization, Cloud, Networking, UX/UI engineering, and FinTech. MSys' gamut of service offerings spans across Product Engineering, DevOps, Maintenance and Support, Predictive Analytics, Artifical Intelligence solution and Test Automation. MSys is based out of Chennai, India, and Alpharetta in Georgia, USA. The company also maintains offices in Vietnam, and in the Indian IT cities of Bangalore and Pune.